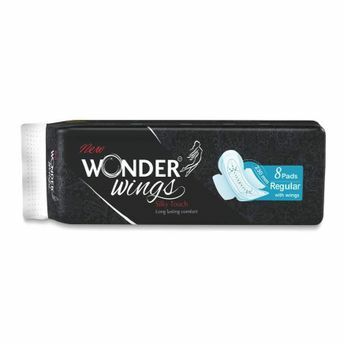 Wonder Wings Silky Touch Sanitary Napkins, equipped with a silky-touch technology, stays true to its name with its smooth and silky feel. This highly absorbent variant gives freedom of movement and makes you feel comfortable throughout the day. Its super gel technology quickly draws in and locks away wetness, keeping you clean, hygienic and active. It eliminates bad odor and is anti-bacterial. These pads provide high level of comfort during menstruation.